The diversity and bureaucratic nature of government agencies have had complicated communication for decades. But today digital technologies offer a path to connectivity and information sharing that could help break the gridlock. 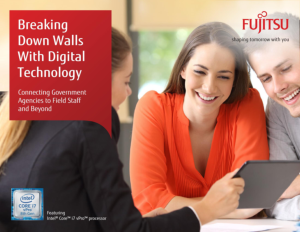 Innovative mobile and field force automation (FFA) technologies are helping state and federal government agencies break down the walls that hindered cooperation and decision making between offices and field personnel. To find our more download this ebook today.